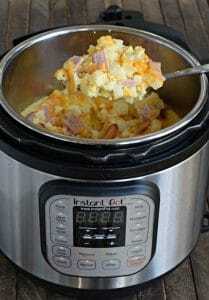 Do you have an instant and are looking for the best instant pot recipes? The instant pot makes getting dinner ready so much quicker and is great for those busy nights when you need to get dinner done quickly. Here are some of the best instant pot recipes that will help you have dinner done in a snap! Ok, so shredded chicken isn’t dinner, but making shredded chicken quickly can help put dinner on the table quicker. Plus you can shred a lot of chicken and freeze it for later. You can find the instructions on how to make Yummy Shredded Chicken here. Plus it has some broccoli in it. I like it when the main dish has veggies in it. Even if we are planning to have a different side of veggies, I like my kids to be exposed to vegetables all sorts of different ways and I find they like vegetables more when it is a common food for them. 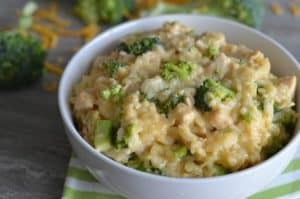 Here is the Instant Pot Chicken Broccoli and Rice Recipe. If you like to have a physical cookbook in front of you when cooking in the kitchen, check out this instant pot cookbook with over 500 recipes in it! So many of these recipes look delicious! There’s nothing like soup on a cold, fall evening. Potato soup is something that everyone in my family loves. 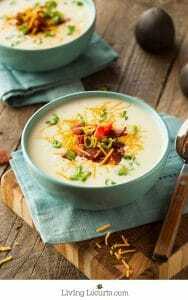 Here is a 10 Minute Baked Potato Soup. Rice and beans! A great dish to make when you are trying to stretch out your food budget. Even when you aren’t, these look like they would taste delicious! 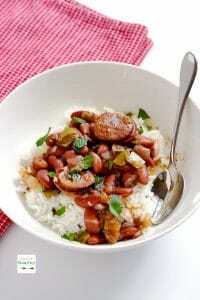 Here is the recipe for Instant Pot Red Beans and Rice. Yummm. My kids love rotisserie chicken. Do yours? 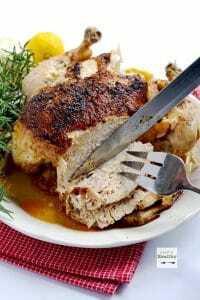 Here is a quick way of making a delicious Instant Pot Whole “Rotisserie” Chicken. Being able to make it at home quickly and for a lot less than take-out? It’s a win! 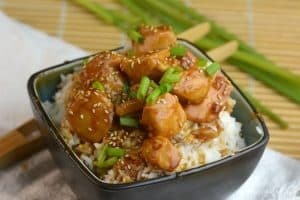 Here is Better than Take Out Instant Pot General Tso’s Chicken. Pair this up with some rice and a salad and you’ve got a great meal! 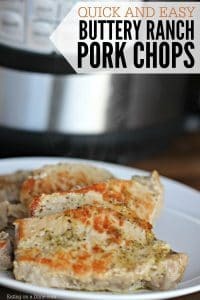 Here is the Instant Pot Boneless Pork Chops Recipe. Here is a great idea – use your instant pot to make breakfast! Here is a Ham, Egg, and Cheese Casserole Recipe. 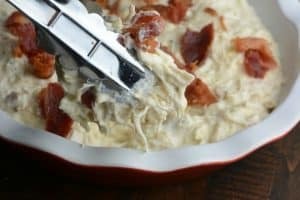 And to have them made quickly in the instant pot is awesome! 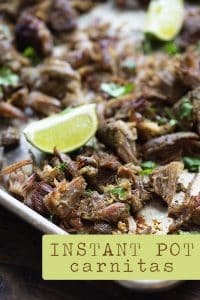 You can find the Instant Pot Carnitas here. Sweet potatoes are a nice alternative to potatoes. They are filled with calcium, potassium and Vitamins A and C (via WebMD). 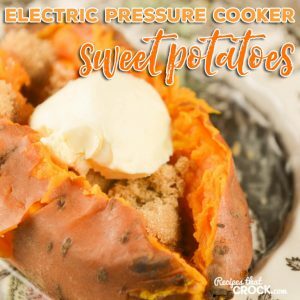 Here are some delicious Instant Pot Sweet Potatoes. 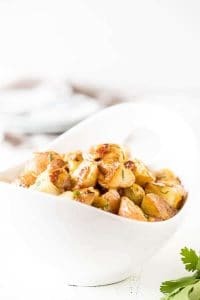 If you just want some regular potatoes, these Instant Pot Bacon Ranch Potatoes look super delicious! I’ll bet you won’t have any leftovers with these. Crack chicken? Nothing like making a recipe that everyone just LOVES and devours! You can find Instant Pot Crack chicken here. Anyone else obsessed with Greek food? I absolutely love the flavors of Greek food. I only discovered how delicious this type of food is about 3 years ago and can’t believe I’ve been missing out for so long! Here are some Instant Pot Beef Gyros. 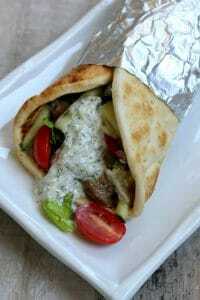 So you don’t need to go to your favorite Greek restaurant to get a Greek Gyro. Spaghetti squash is so much better for you than regular noodles. It feels like squash takes forever to cook though. 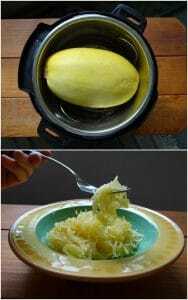 Try this Instant Pot Spaghetti Squash with Duck Fat Apple Juice Glaze and it will be ready so much quicker. There’s nothing like having pot roast on a stormy fall night. Instead of cooking it all day long, you can cook it quickly in an instant pot. 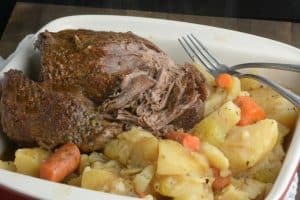 Here is the Instant Pot Pot Roast recipe here. Still need an instant pot? You can find one here! I hope you found some new favorite recipes for your instant pot.